Home » True stories that we could not make up if we tried. True stories that we could not make up if we tried. Every once in a while, we run across a situation that is just totally ridiculous. Hopefully if we post some of our stories, others can learn from them. This is mainly our way of relieving stress. Everything here is true, however we would never disclose anything that would identify who we are talking about. You know who you are and if you screw up bad enough, you will wind up on our "Wall of Shame". Read and learn so that you do not repeat the mistakes of those who wind up on our wall of shame. Some people should not be allowed to use a computer. The UPS that Powers Everything! We have a customer in Indianapolis that does not understand, after having it explained to them many times, that UPS Backup Units are for their computers only and not a handy source of power. We keep getting called out to this particular office to take a look at computer that is not working properly. When we get there, we find space heaters that compete with the air conditioning, fans, paper shredders, and one time, even a vacuum cleaner all plugged into the Battery Backup side of the UPS. No wonder the thing melted down. The batteries on an overloaded power supply will heat up, swell and leak, rendering the unit useless. It will also adversely effect the power that is provided to your computer causing all kinds of problems both on the computer and also corrupting data on the server. USB Ports Are Not Personal Battery Chargers! This is something we see all the time. It seems now days that everyone has a phone, smartphone, tablet, or some other personal device. The batteries on these devices are limited and usually need to be recharged during the day. The new universal handy way to do this is by plugging the device into the nearest USB port which is usually on your computer, or sometimes a printer. The first comes from the "Plug and Play" feature of both the device and computer. When you plug in a smartphone, for example, the computer is going to assume that is is suppose to communicate with the device. It automatically loads drivers, and sometimes programs to interact with the device. This all seems to work OK until the next person comes along with their device and it's set of programs get installed. Eventually you wind up with a bunch of what we call "crapware" installed on the computer that can be difficult to remove completely. People just do not understand that when you plug a device into a computer through a USB port, that device becomes part of the computer. Smartphones and cameras also act as storage devices. When you plug them in your computer will see a new drive that it can access like any other folder. This is a common way to spread viruses, because a smartphone or camera could care less about scanning itself for windows viruses. 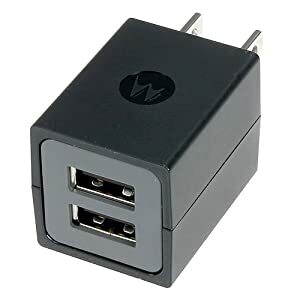 Every device you plug into a USB port on your computer consumes power. Especially when plugged in specifically to charge the battery. Computers have USB ports on the front and back, sometimes on the monitors, and even printers. They have way too many USB ports because if they are all used, and we have seen customer who use them all, it will overload the computer power supply, shortening it's life and causing heat problems.